Darts fans in Exeter will get the chance to see the sport’s greatest ever player in 2018 when Phil Taylor appears in an exclusive exhibition event. Sixteen-time World Champion Taylor retired from the professional tour following January’s World Championship final, meaning the legendary ‘Power’ will not be appearing in this year’s Premier League for the first time. 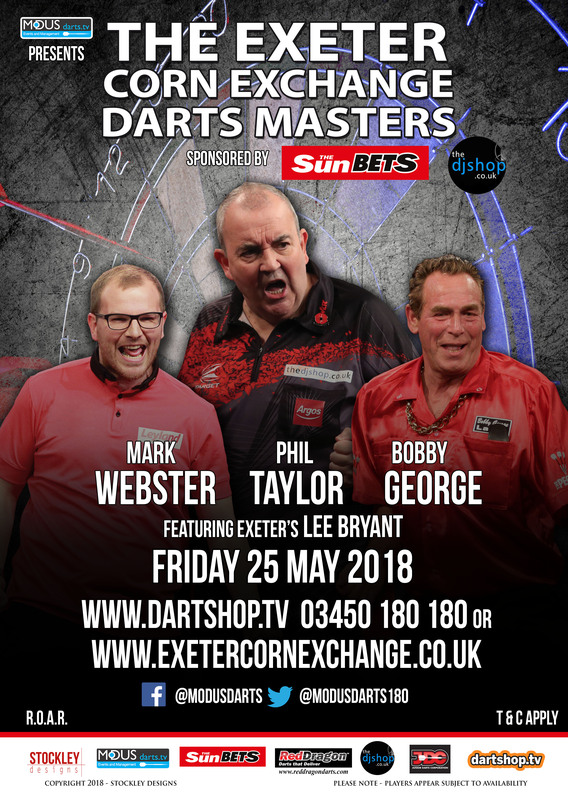 But Taylor will be appearing at Exeter Corn Exchange on Friday 25 May 2018 alongside Welsh ace Mark Webster, darts’ original entertainer Bobby George and Exeter’s Lee Bryant. 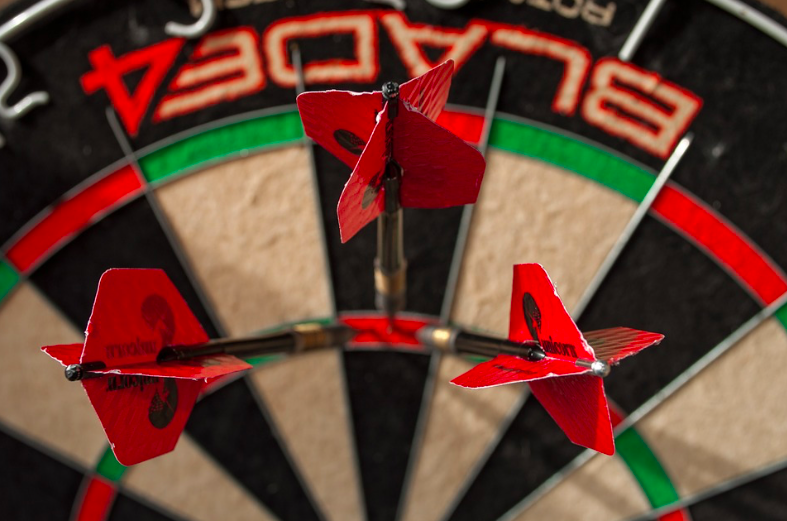 Taylor dominated professional darts for almost three decades and will now be touring the world with a series of exhibitions, including his trip to Exeter, where he holds fond memories. He said: “I’m really looking forward to visiting Exeter again. I played in the Premier League there many times and enjoyed some great nights. Webster is a former World Champion and World Cup finalist. George is one of Darts’ greatest characters and has become a well-known television personality.